4 cards change IN THEIR OWN HANDS. 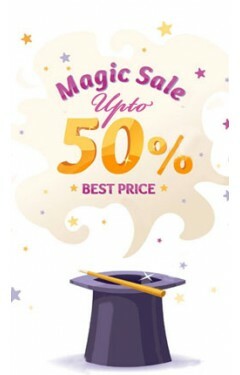 I CHALLENGE YOU to perform ACE and not get BEGGED to perform more magic. It's THAT strong. Imagine a dog chasing its tail. That's what spectators brains do after experiencing ACE. There's just no way -- THEY WERE HOLDING THOSE CARDS. And the fact that you DON'T use a full deck of cards in this trick makes ALL the difference. FOUR cards ALL change to ACES. This means THERE'S NOWHERE TO HIDE. 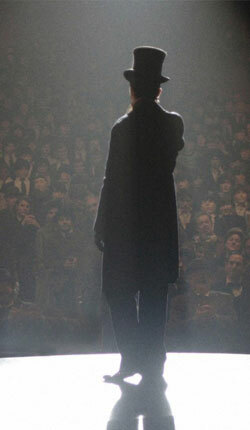 PROFESSIONALS: If you need to jump-start a dead crowd, this is the trick for you. The magic moment hits HARD and FAST. It's unexpected and LAUNCHES you into the spotlight. It's Richard Sanders, which means you know it's got YEARS of real-world experience built in. You'll love ACE. Two jokers are cleanly placed into the spectator's hands and two jokers are placed into your hands. By simply touching your jokers to theirs, ALL cards change to aces. 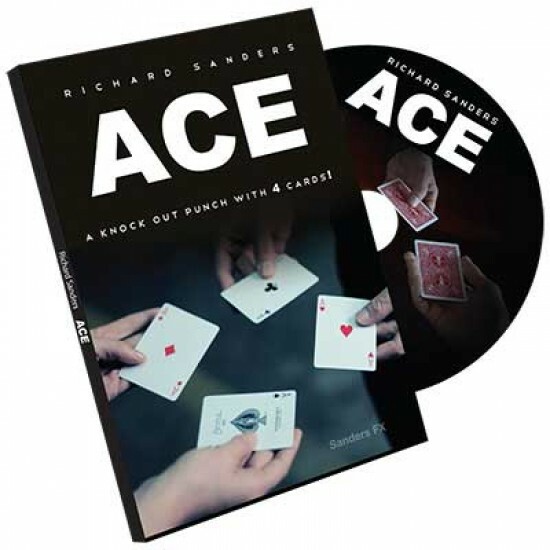 Ace combines easy sleight of hand with a devious gimmick. 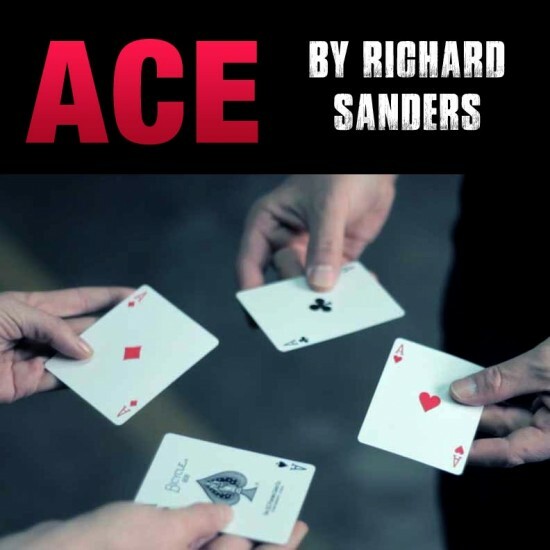 Ace is not a simple packet trick, it's a diabolical card change system that happens in the spectator's own hands. The DVD is jam packed with intense training for SIX POWERFUL ROUTINES, ideas and concepts, plus all the inside information on how to turn this into a true miracle. In addition to the DVD training you will also receive the custom cards and gimmick. Blow your spectator's away with this marked deck._This is the marked deck you have been waiting for!These masterfully created cards will blow yo.. This is one of the most ingenious methods of making a card visibly disappear or appear in a flash. The effect is simple and straightforward. A frame w..